Tina Collins is the Managing Director and owner of 7 East Yachts Ltd with offices in both France and London, UK. Tina and 7 East Yachts Ltd have been specialising in operating charters plus management and owners consultancy/sales for the past 13 years. 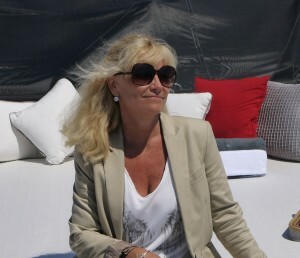 Previously, Tina started her career working on board luxury yachts and has travelled extensively. Born in Gothenburg, Sweden, Tina completed a degree in business & law before travelling and has lived and worked in London, Canada, New Zealand and Australia before settling down in South of France.